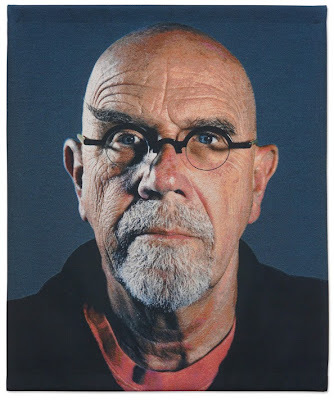 New tapestry editions by Chuck Close published by Magnolia Editions, as well as a suite of watercolor prints printed at Magnolia, will be exhibited in "Chuck Close: Recent Works" at Guild Hall in East Hampton, New York. The show will kick off with a conversation between the artist and Robert Storr on Saturday, August 10 from 3-4 pm; an opening reception from 4-6 pm will follow. Both the talk and the opening are free for Guild Hall members. For more details on the show and associated events, please see this entry; for information on visiting Guild Hall, please check their website. 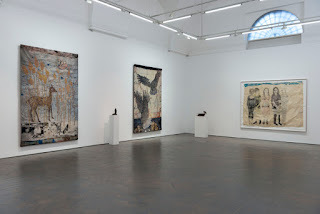 Meanwhile, here on the West Coast, San Francisco's venerable Modernism gallery will mount an exhibition of tapestries published by Magnolia from a diverse group of artists including Kiki Smith, Deborah Oropallo, Donald & Era Farnsworth, Chester Arnold, Doug Hall, Mel Ramos, and Guy Diehl. 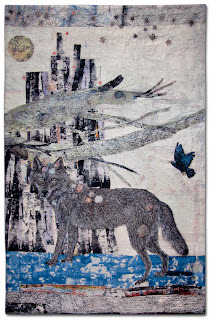 "Selected Tapestries" opens August 2nd at Modernism; for visiting information and to see images of the tapestries in the show, please see their website.